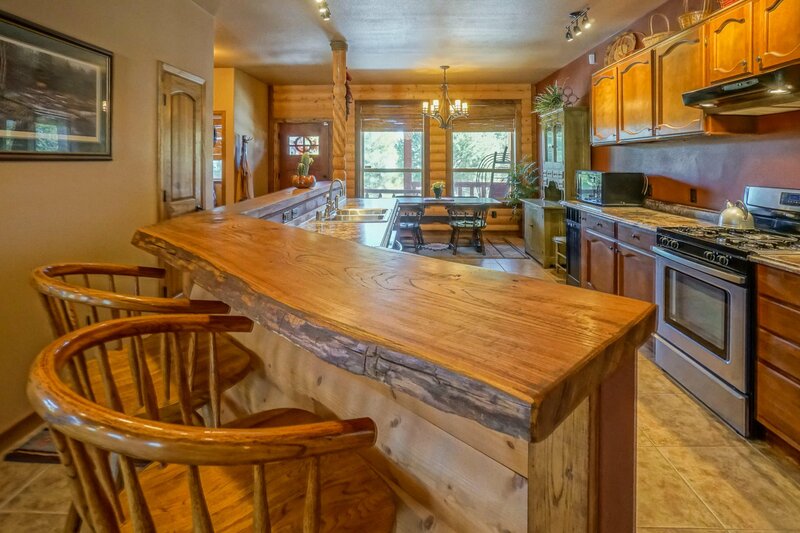 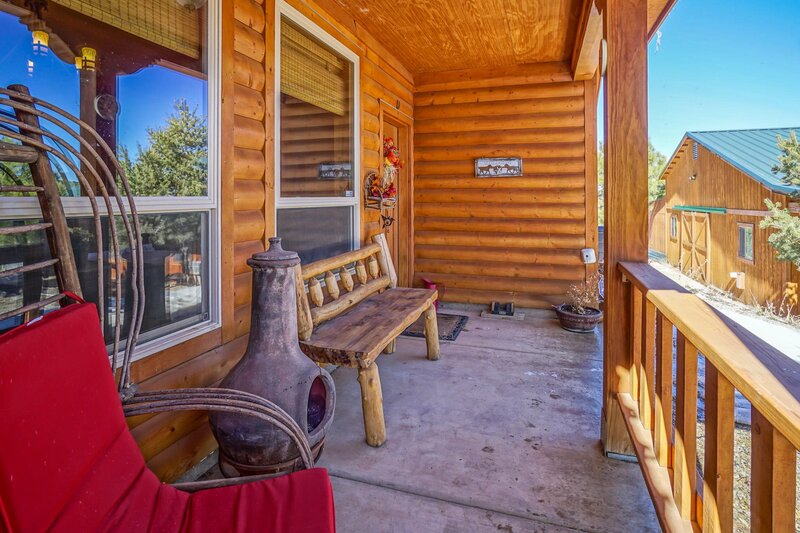 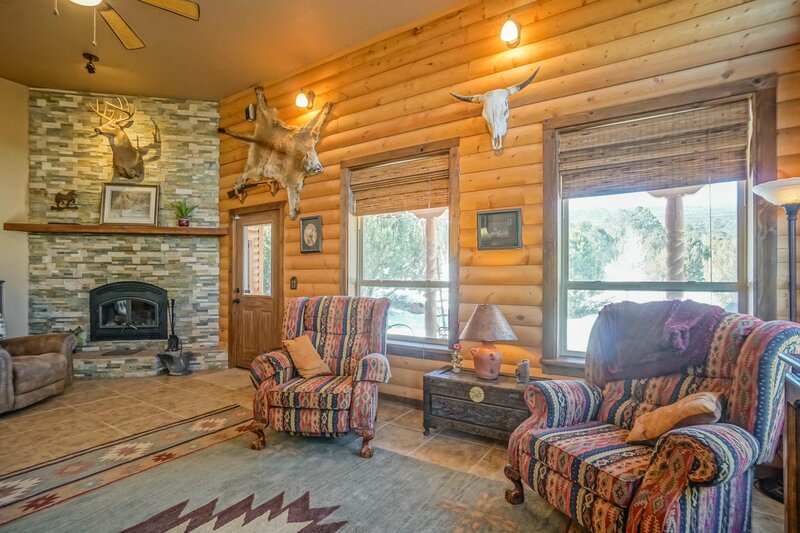 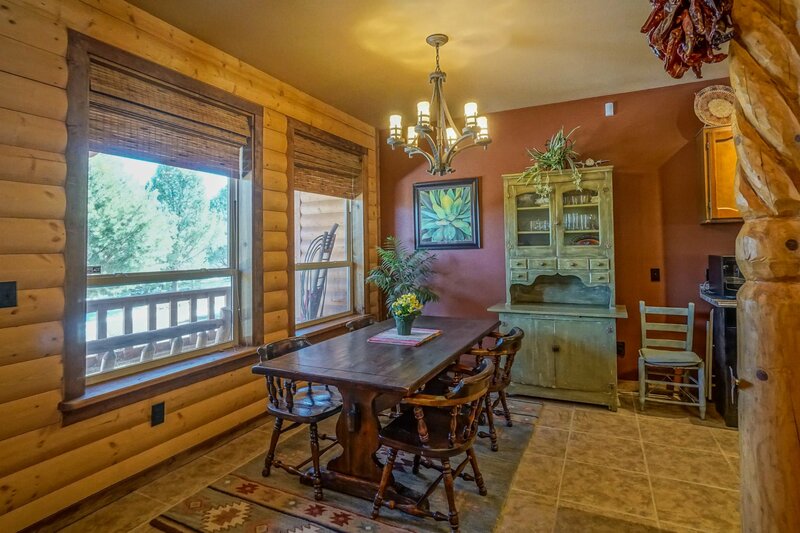 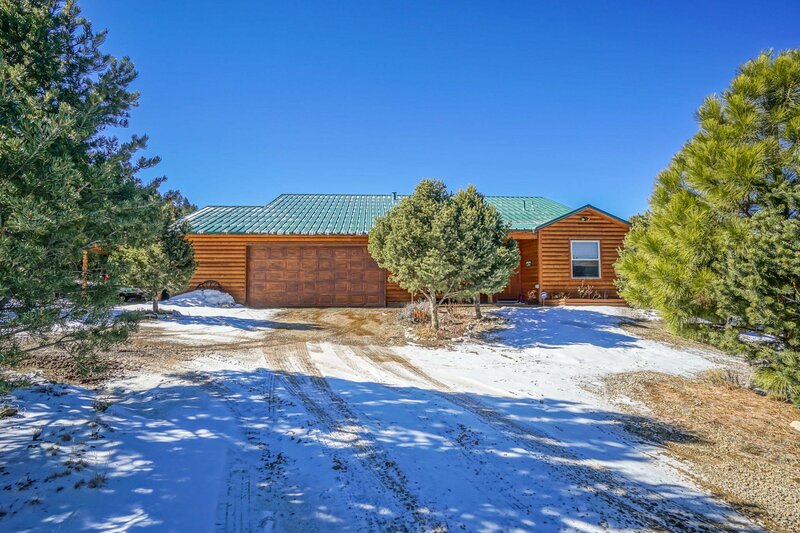 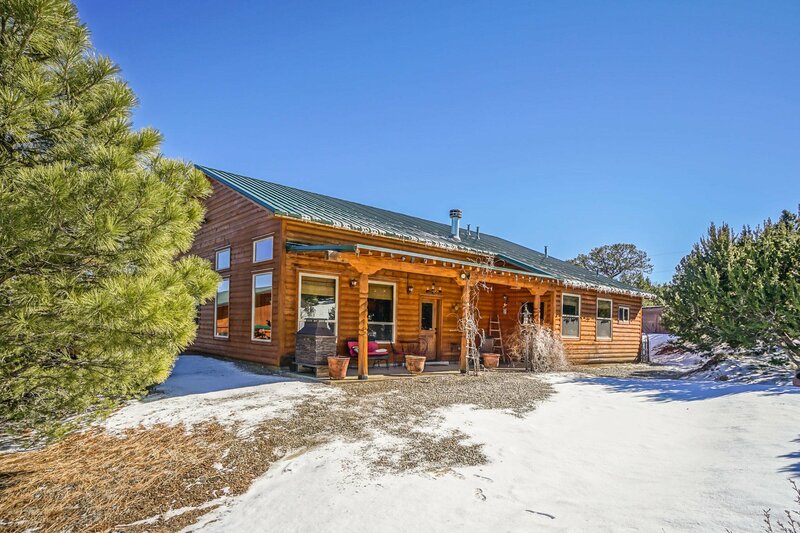 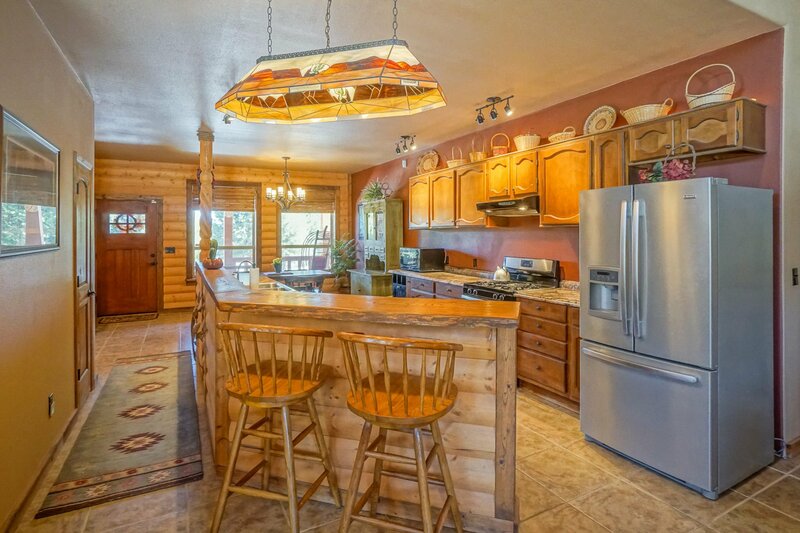 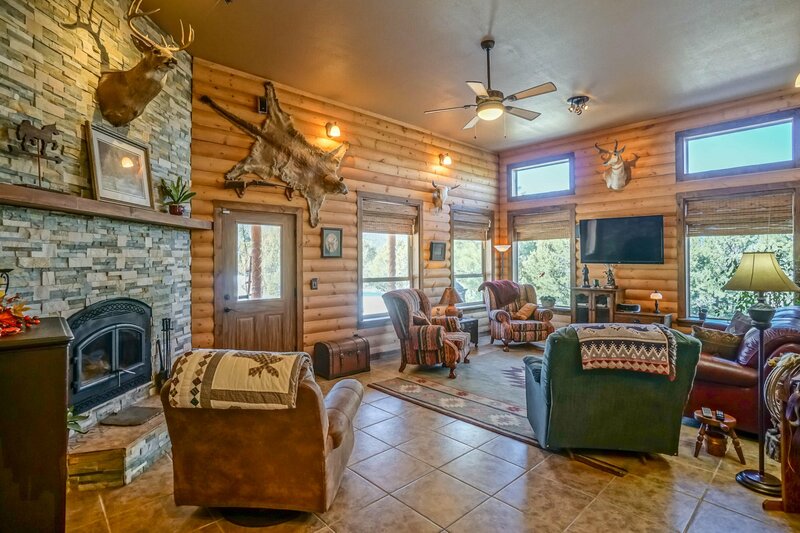 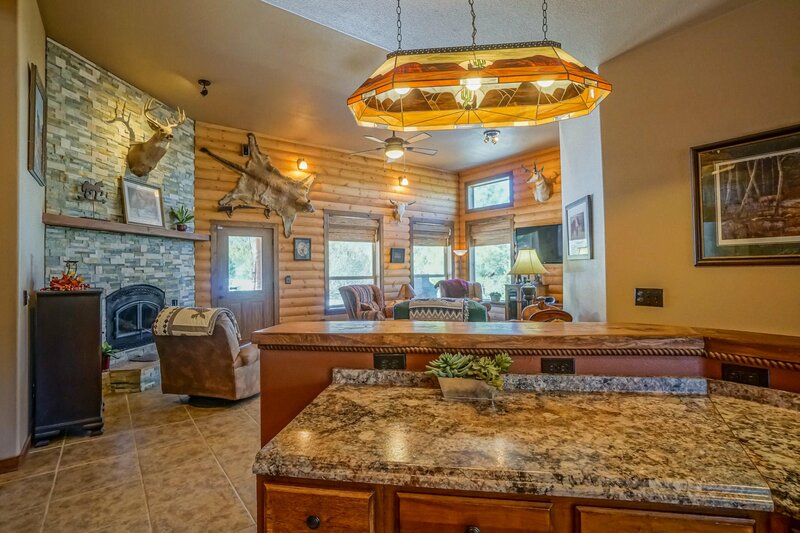 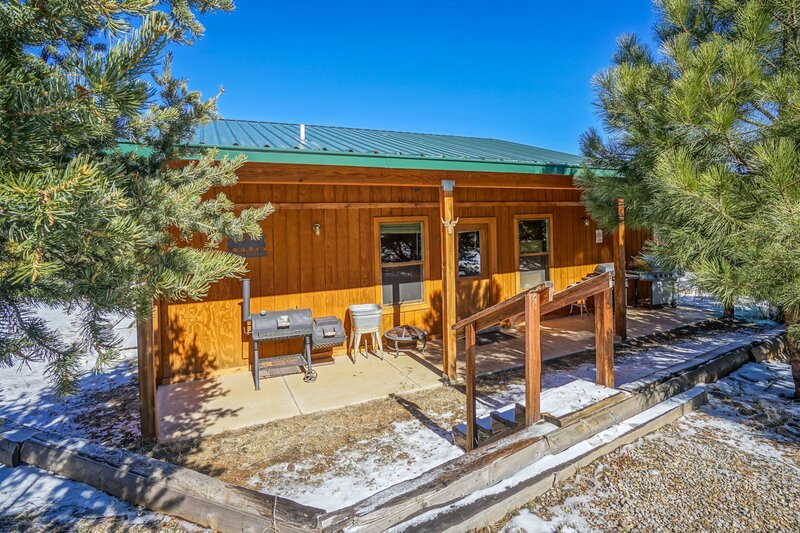 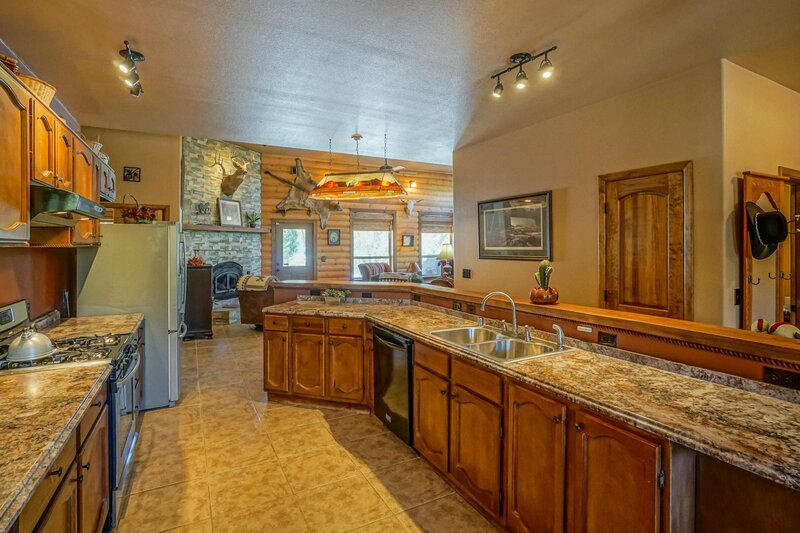 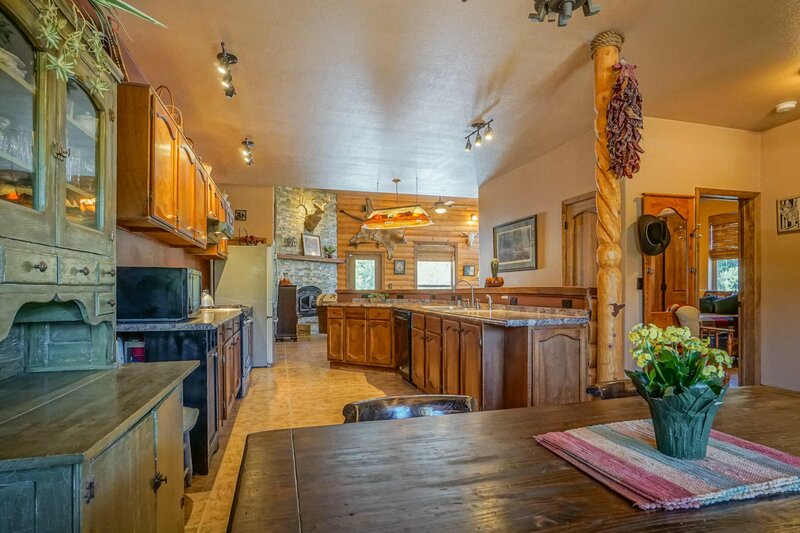 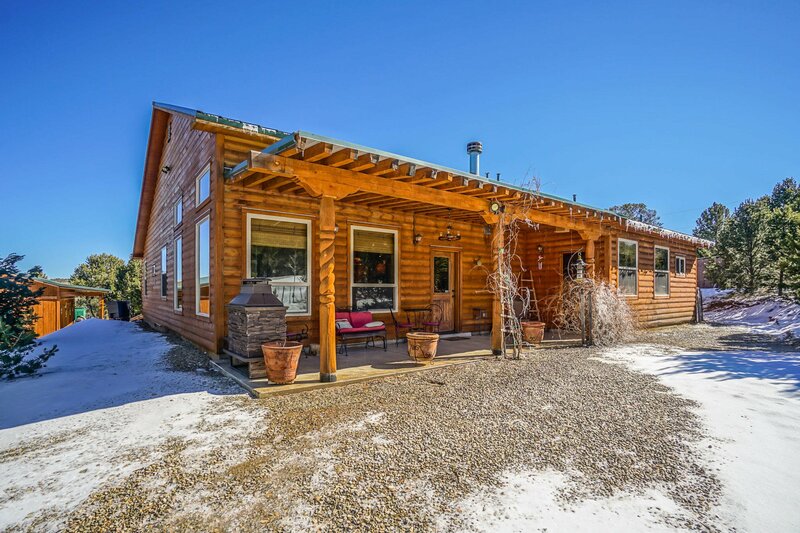 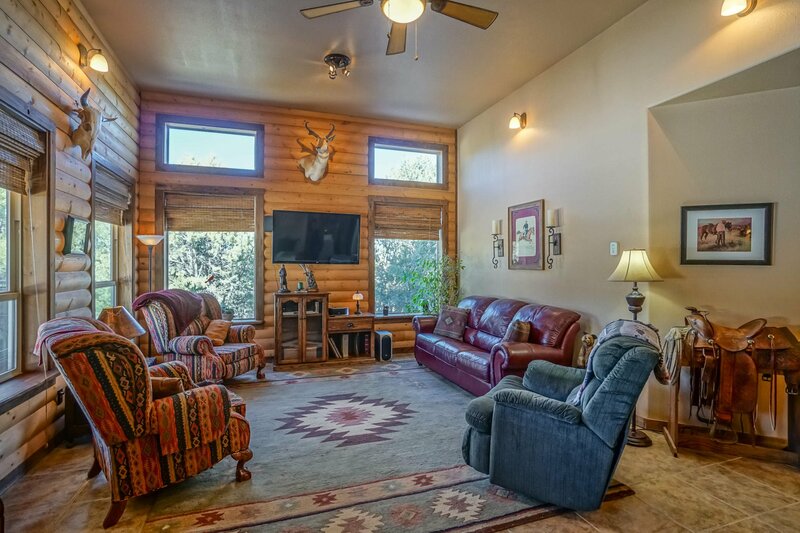 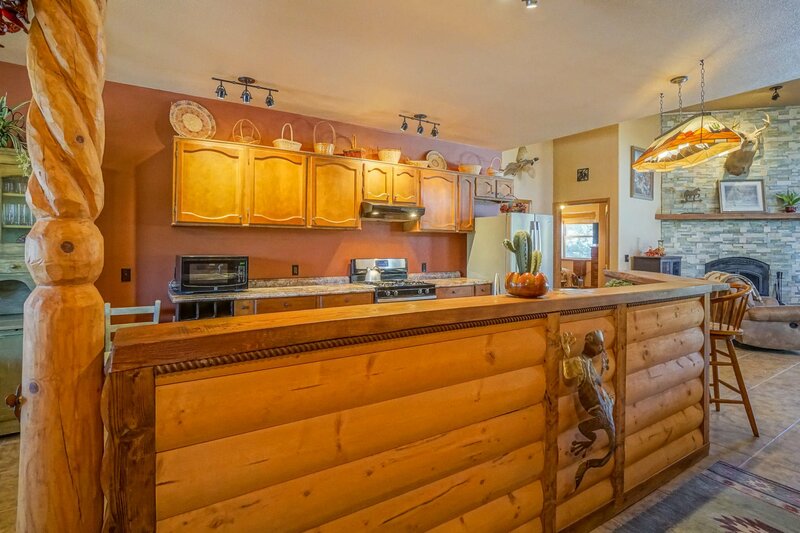 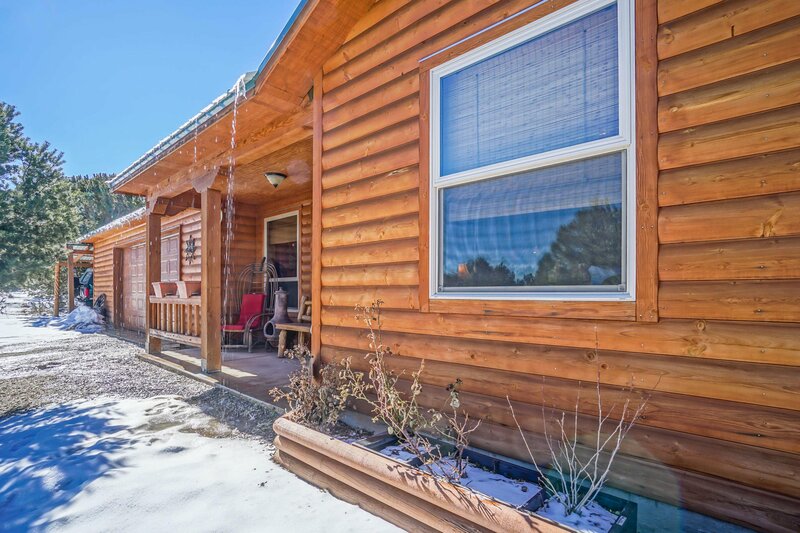 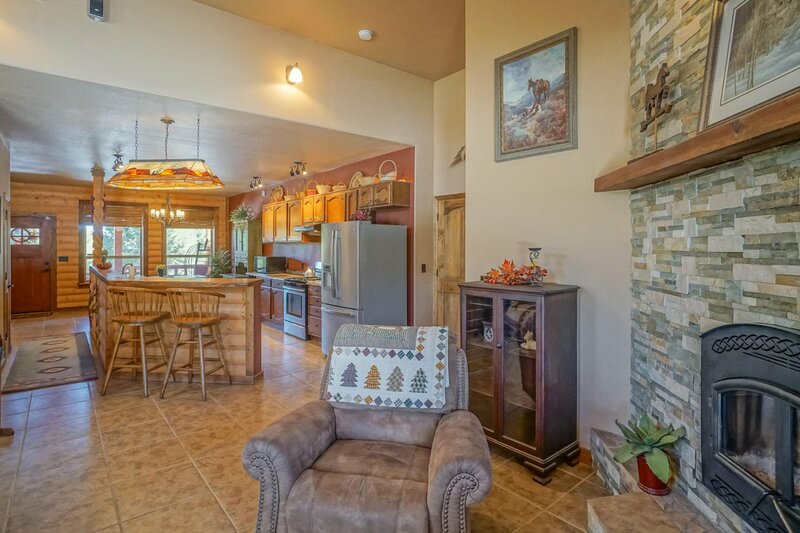 Stunning, tranquil, majestic - these are just a few word that only begin to describe this log cabin style home. 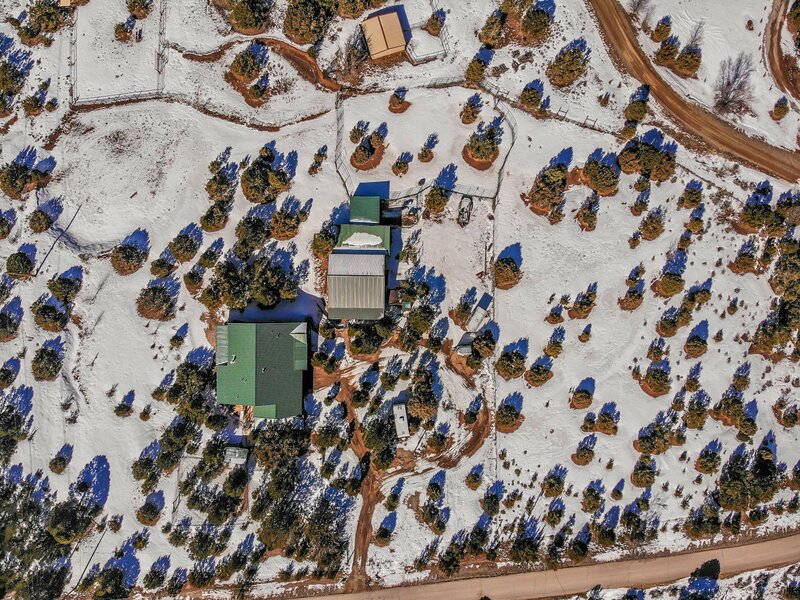 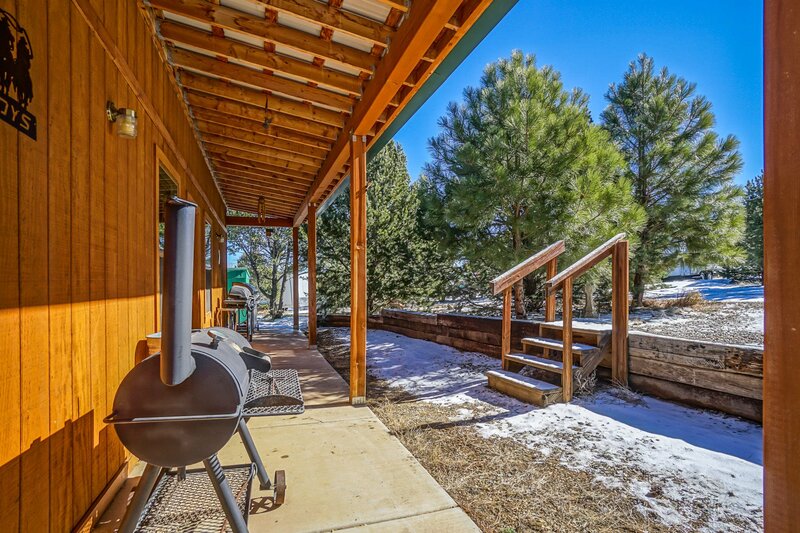 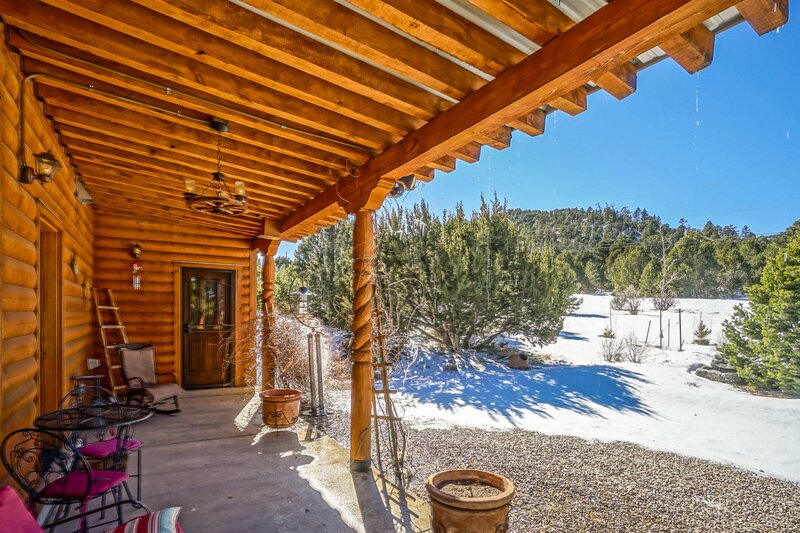 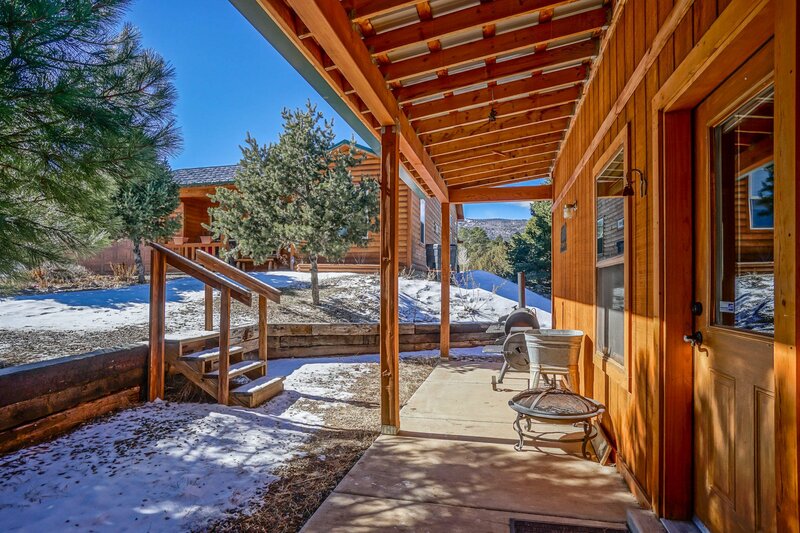 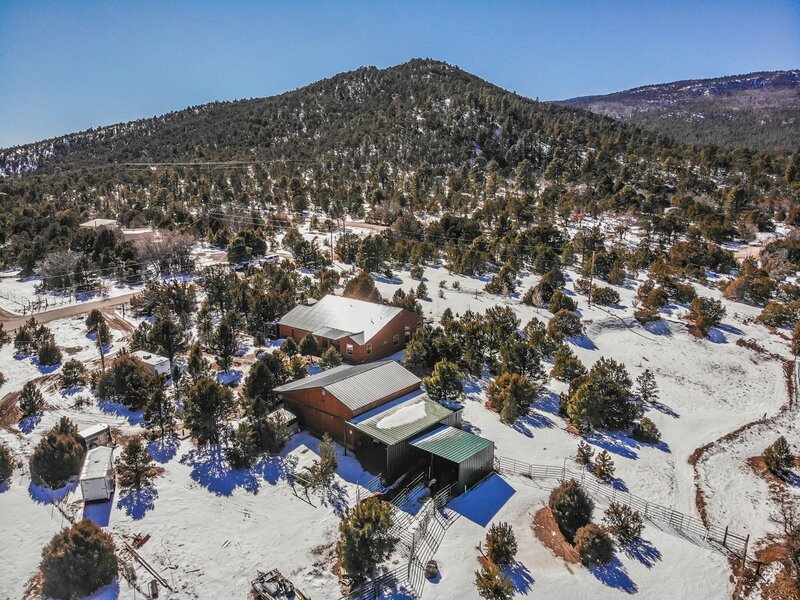 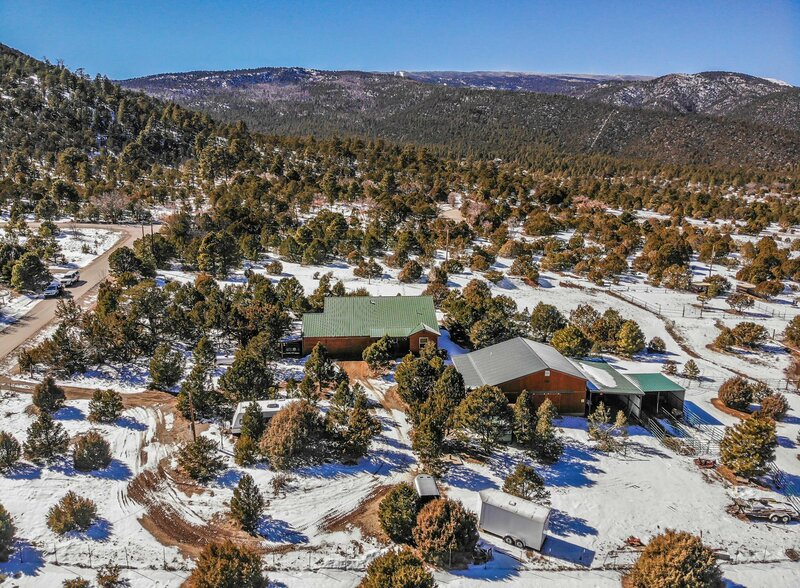 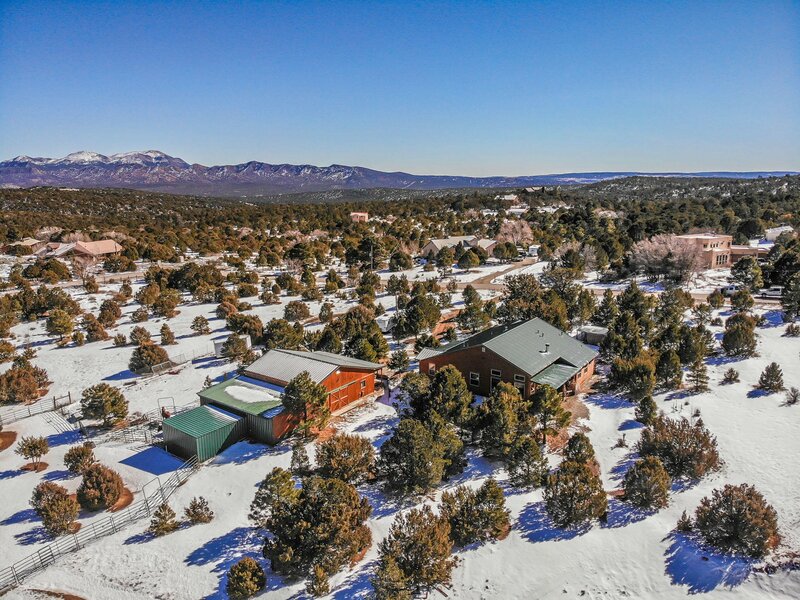 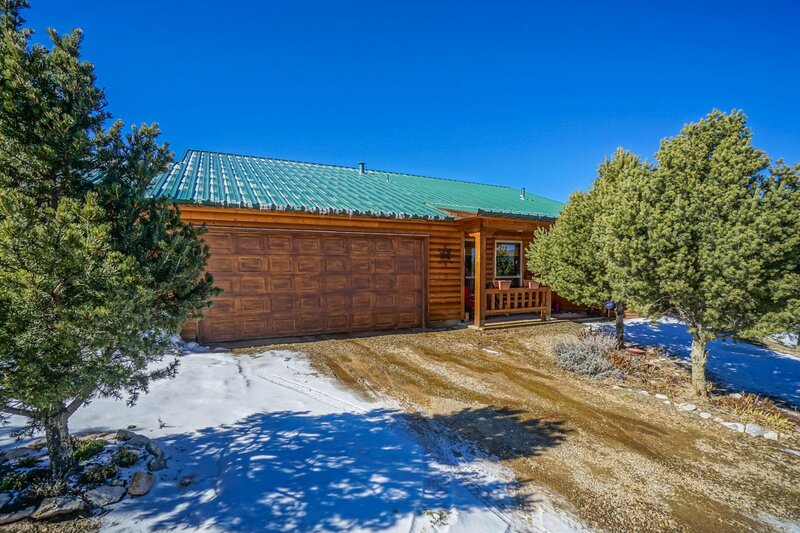 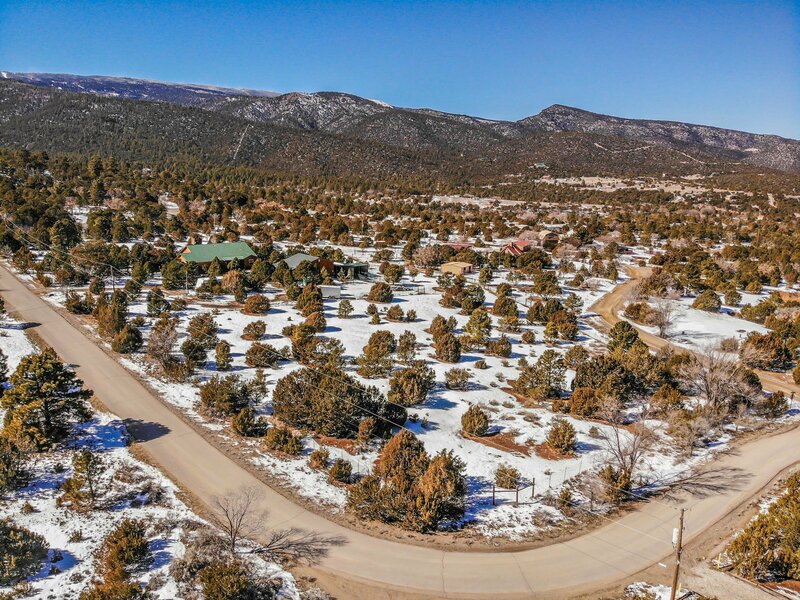 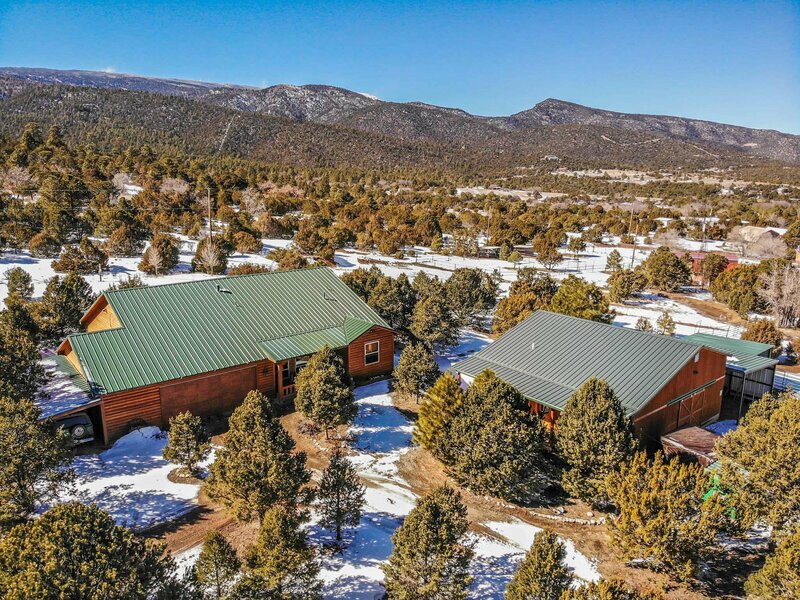 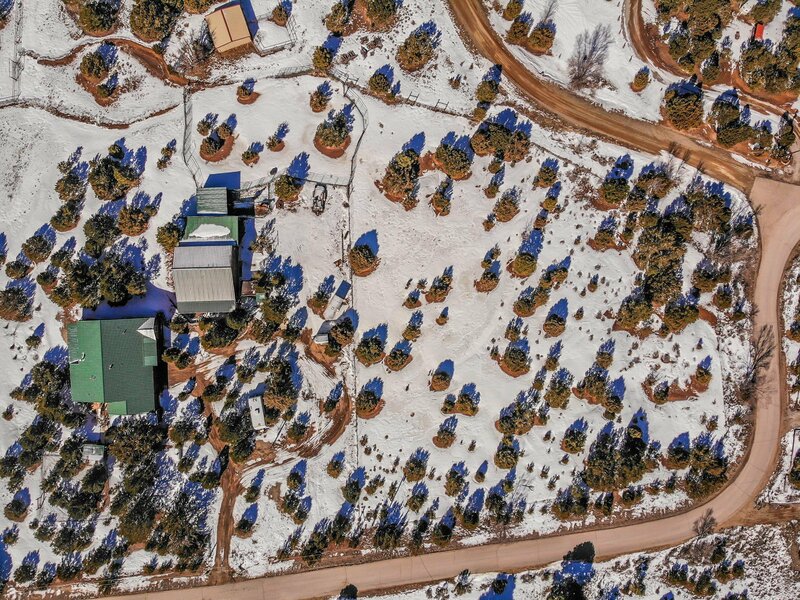 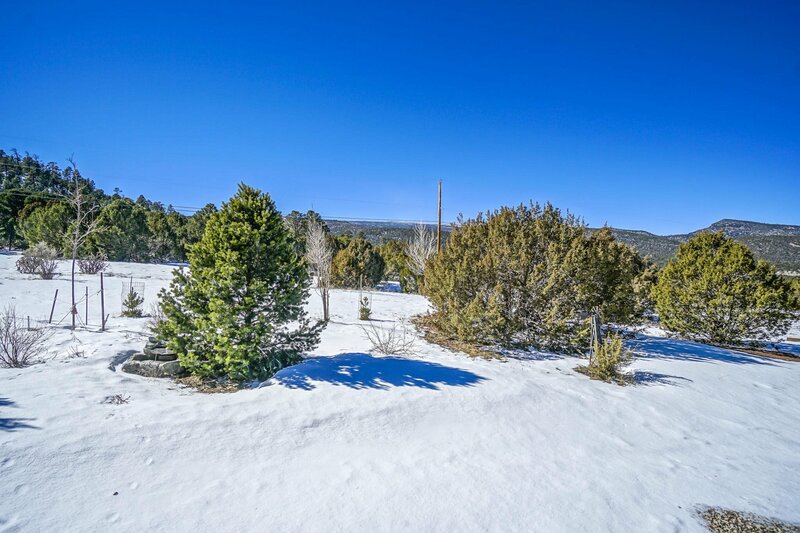 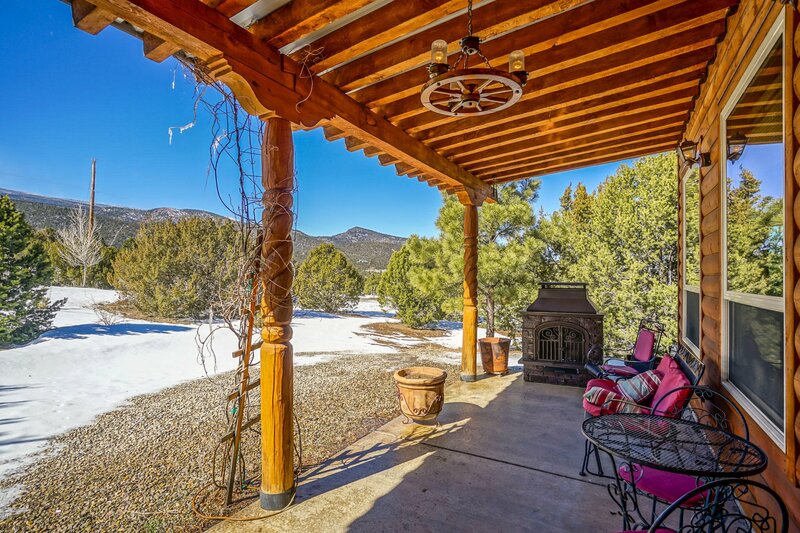 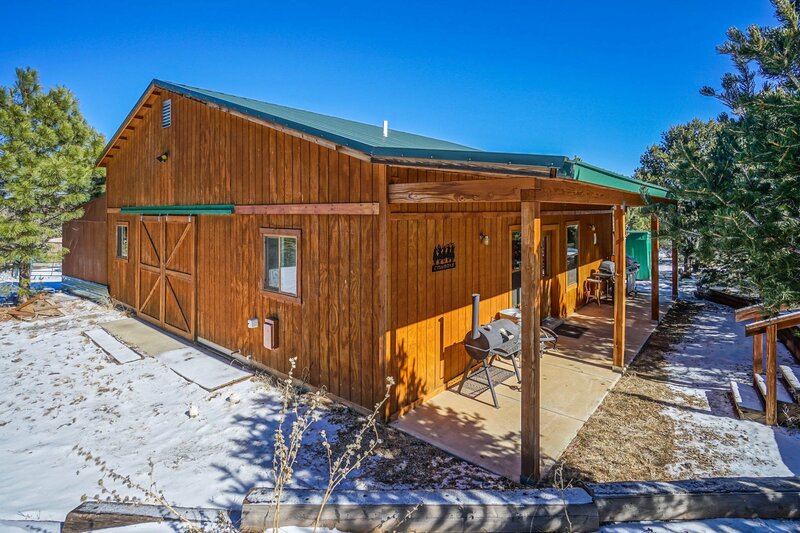 Just a stones throw from Albuquerque, this private retreat sits on 4 acres in the Sandia Mountains. 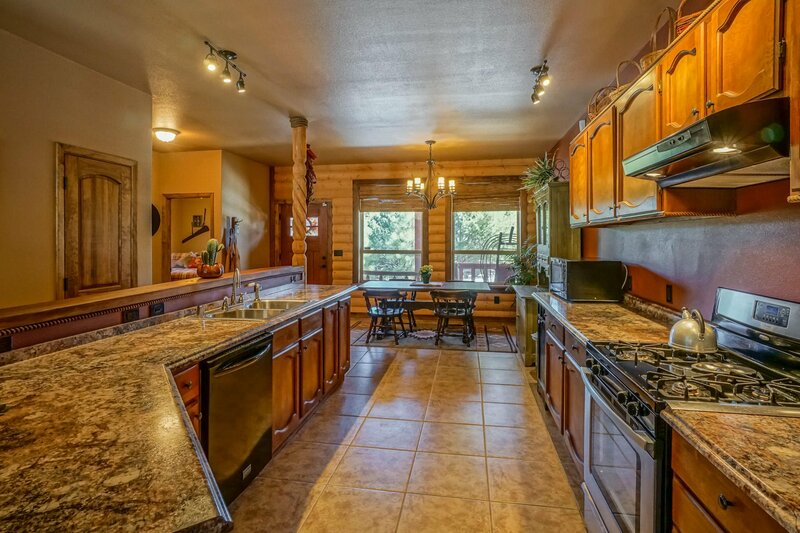 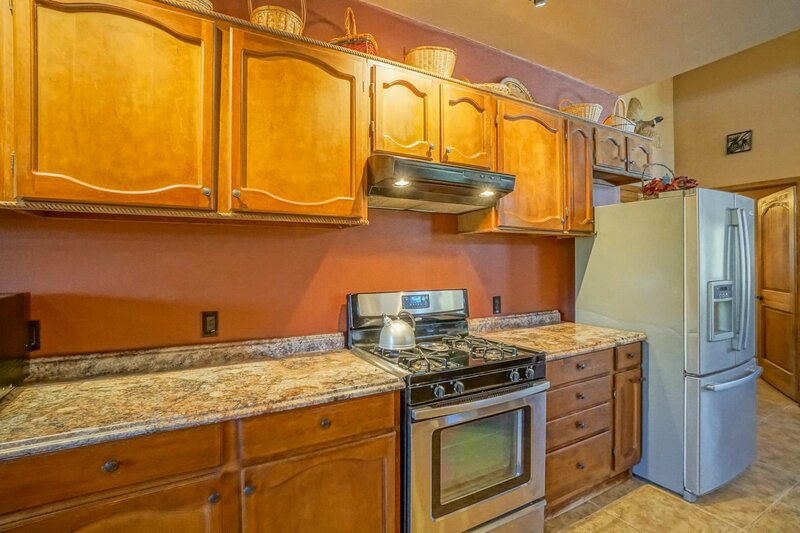 This open concept home offers OVER 1780 sq.ft. 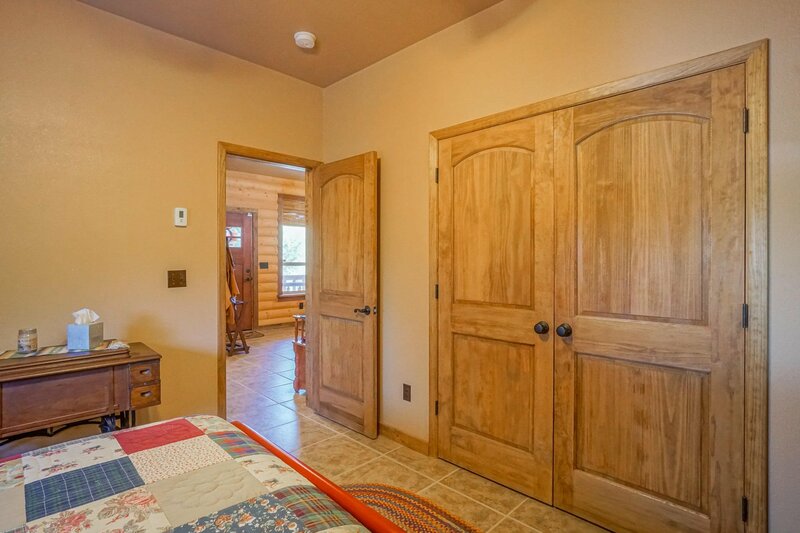 of tile floors with in-floor radiant heat. 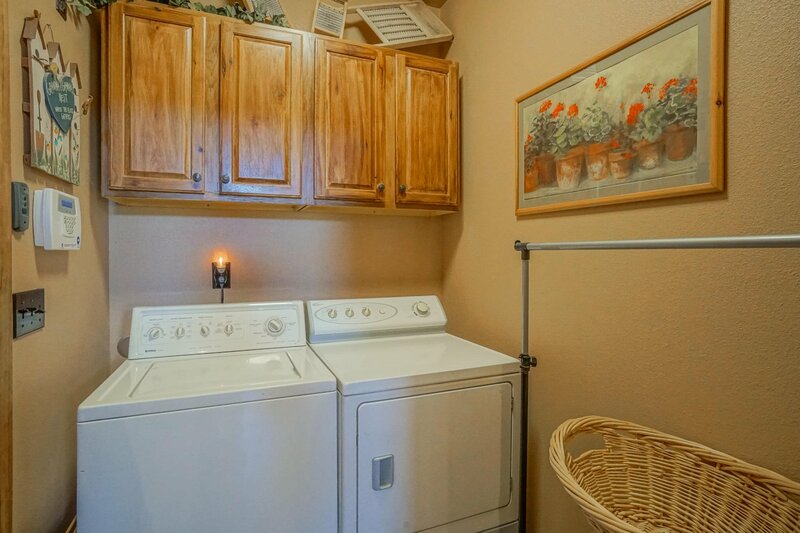 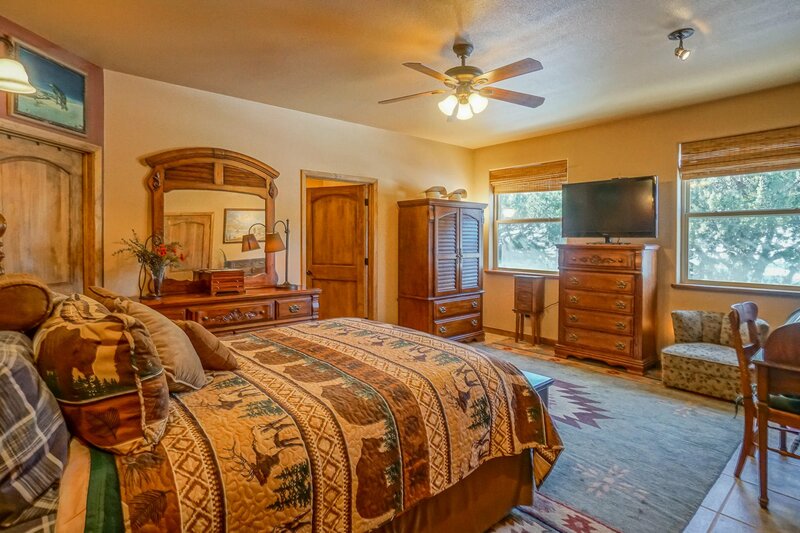 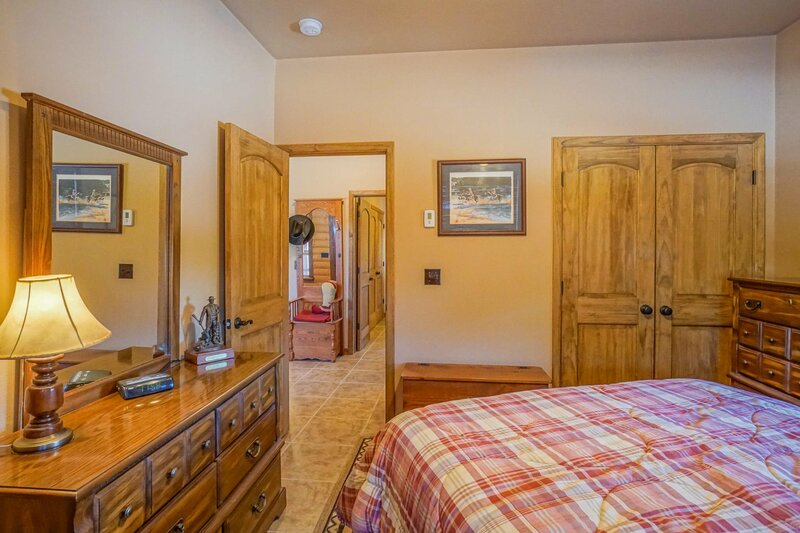 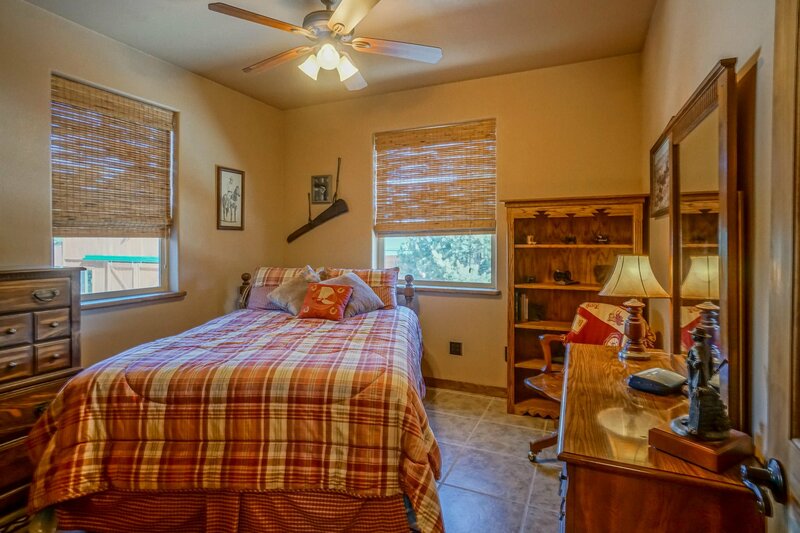 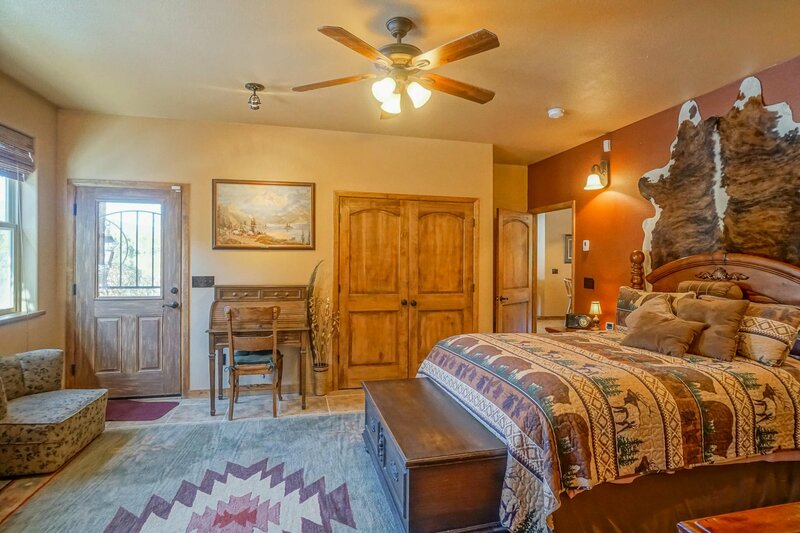 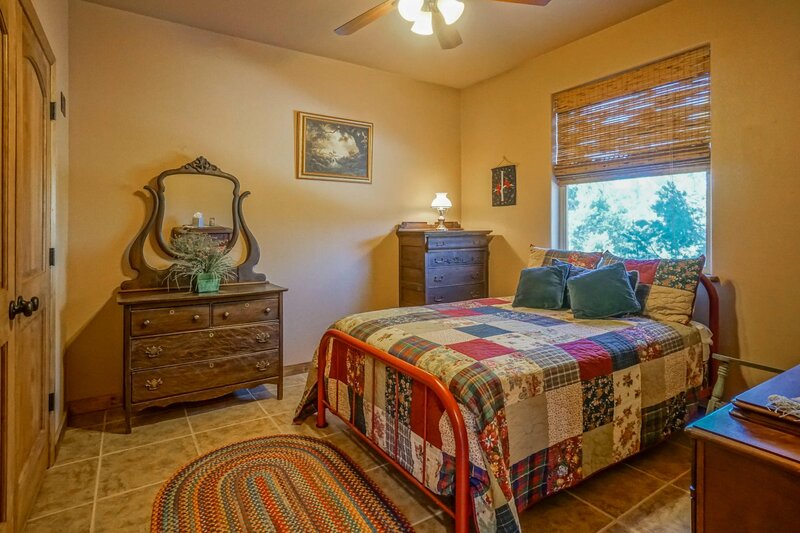 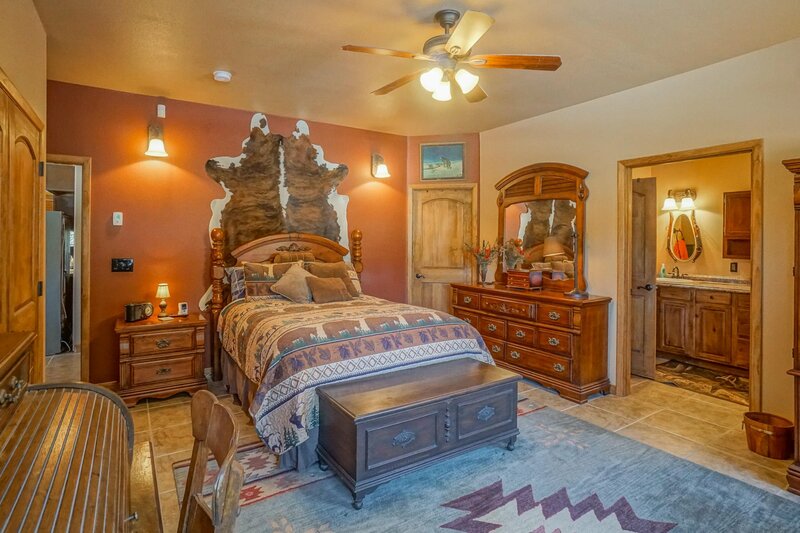 3 spacious bedrooms, each offering a unique mountain view. 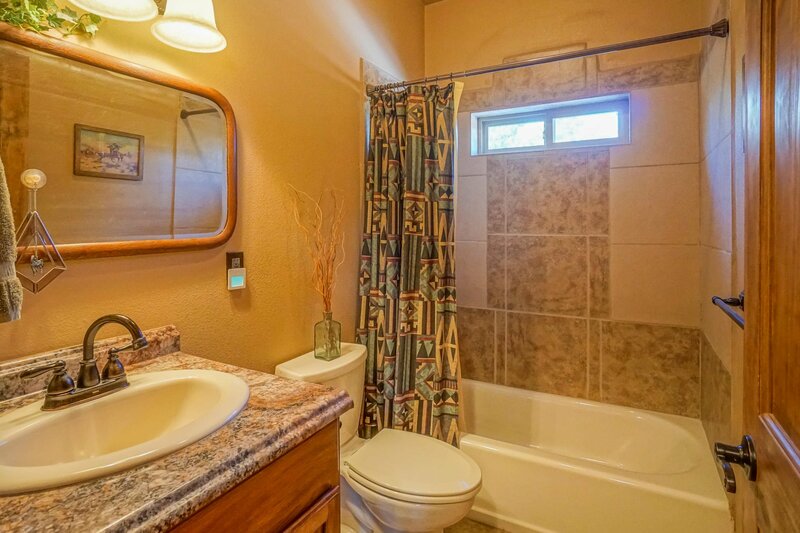 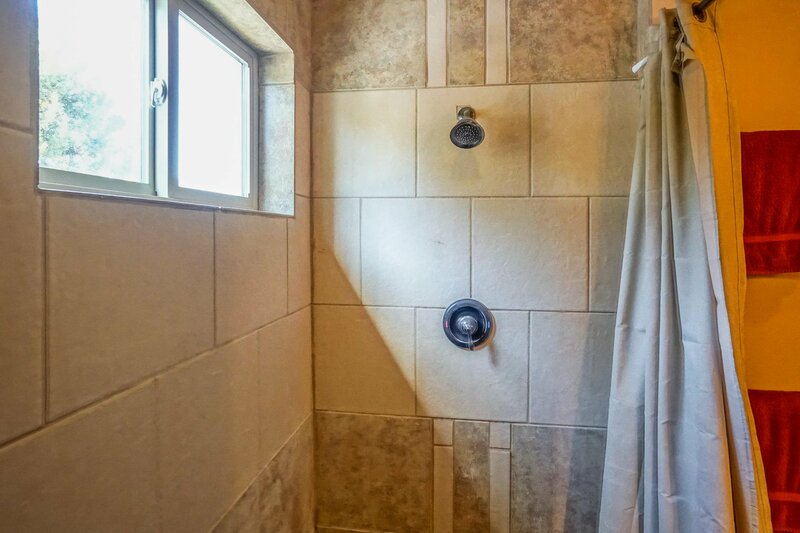 The bathrooms and kitchen offer instant hot water at the push of a button along with ample storage. 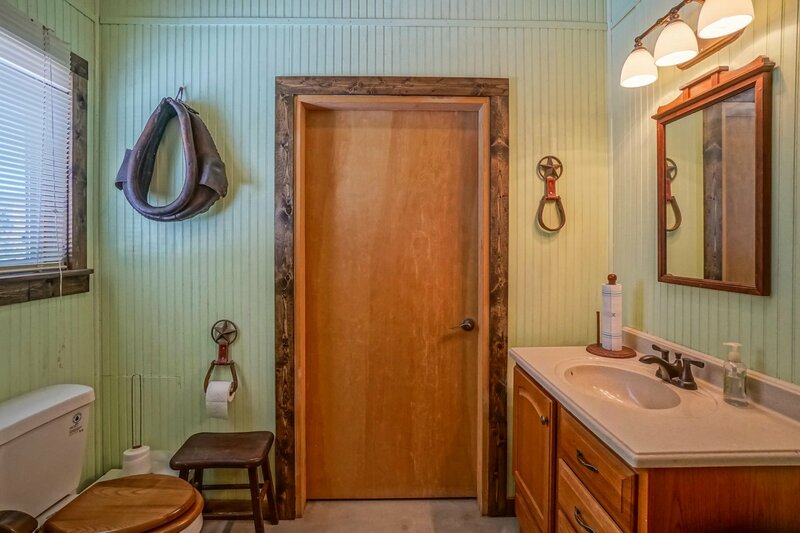 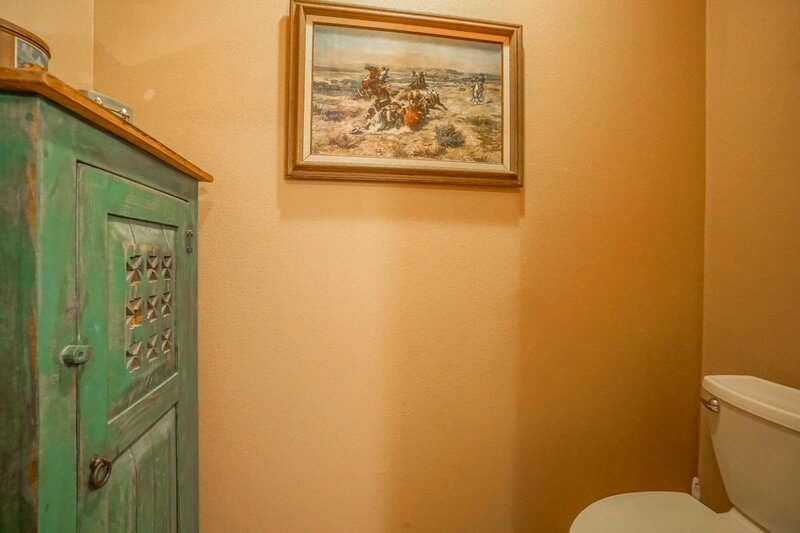 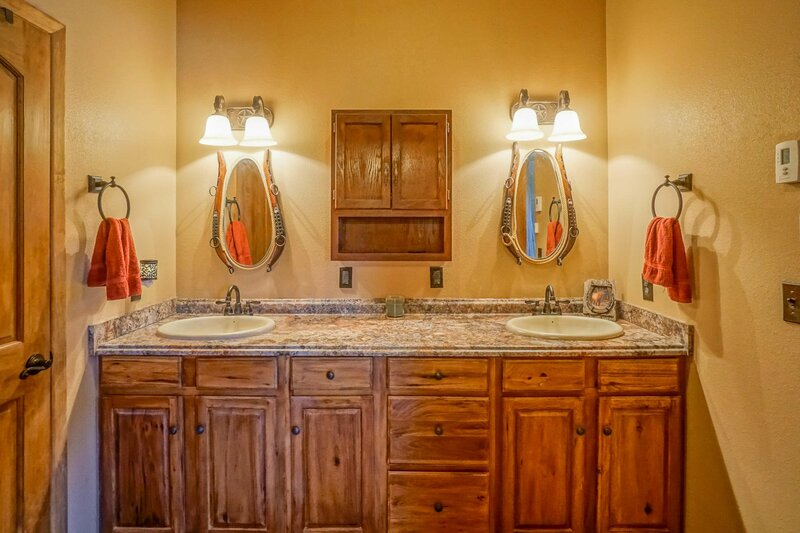 The 36x36 Casita is equipped with a 3/4 bath and 567 sq. 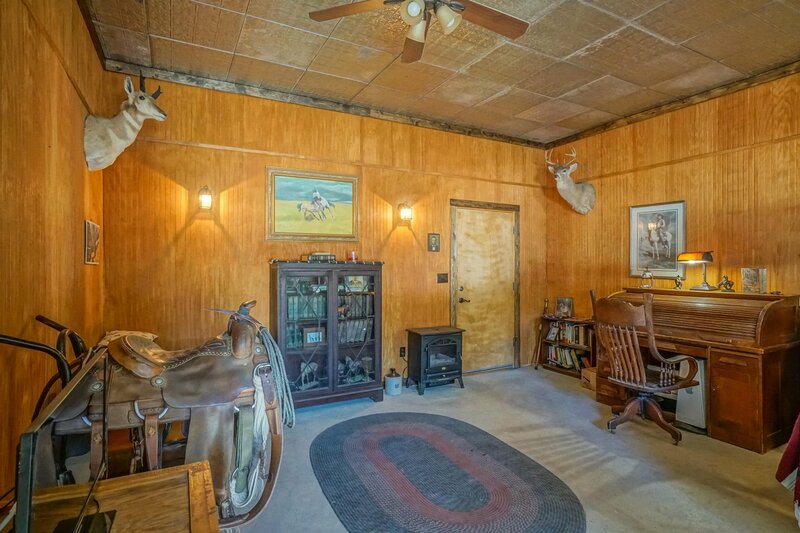 ft. of living space with a covered porch. 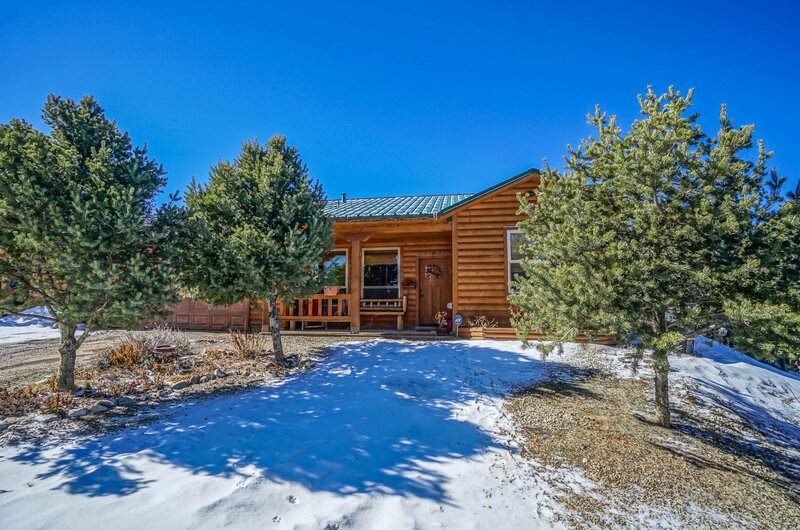 Well maintained paved roads lead you into country living. 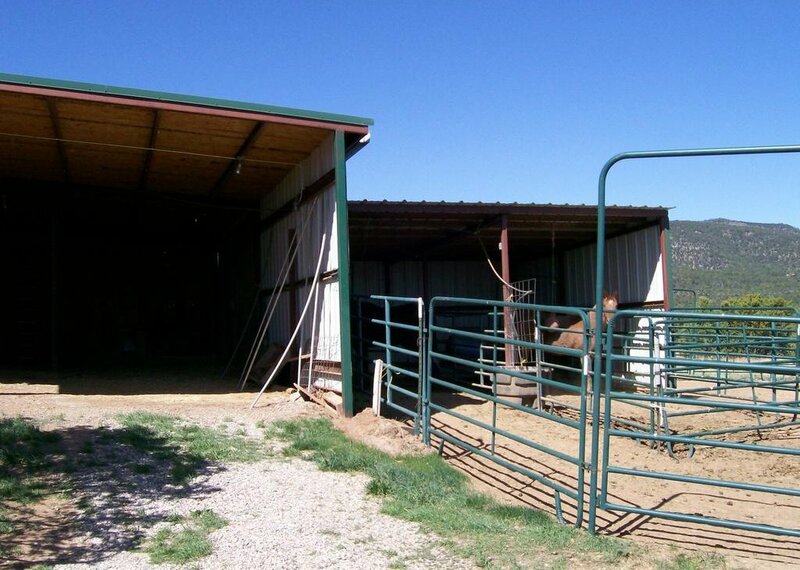 2 car garage with carport. 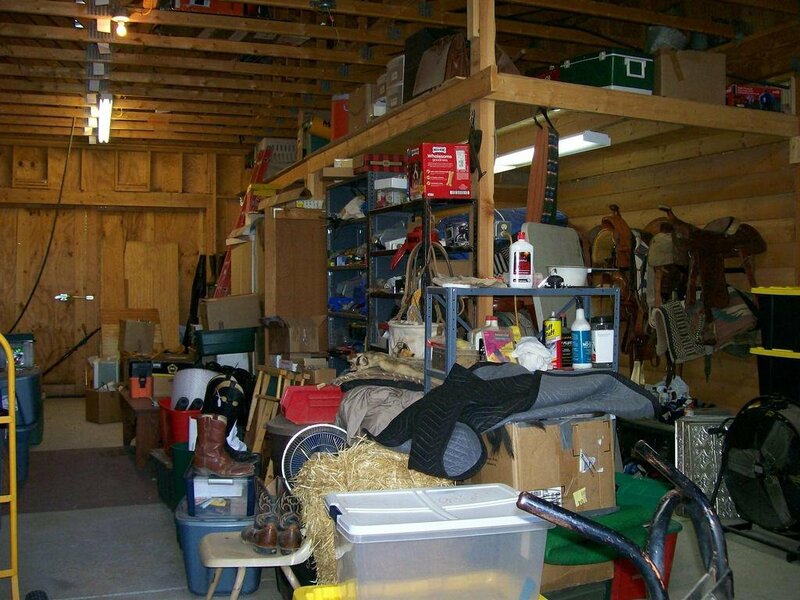 Garage has a seperate 102 sq.ft. 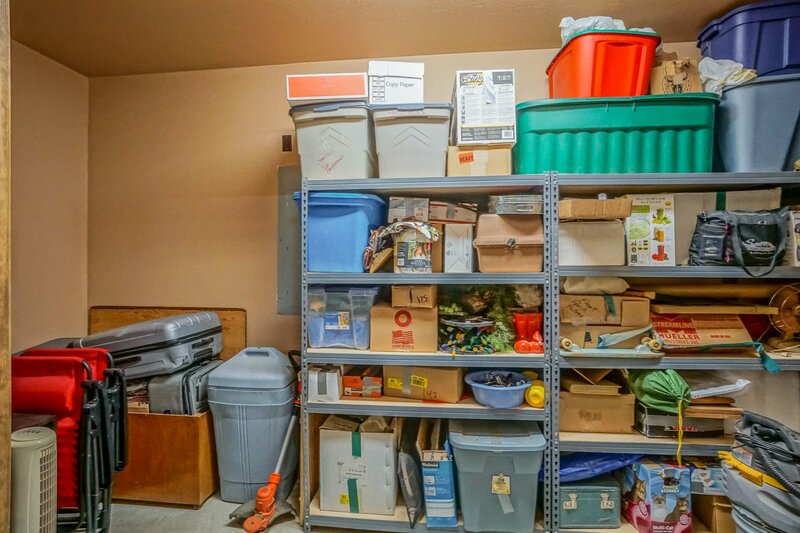 storage-room along with 60 sq.ft. 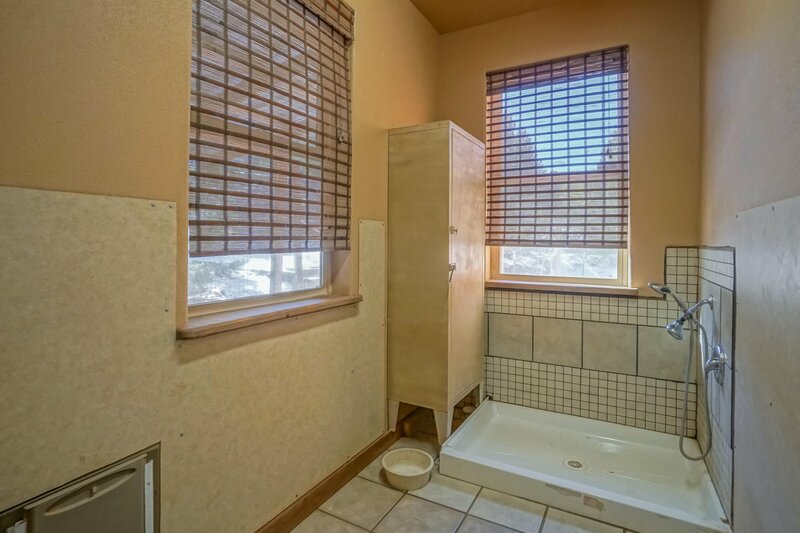 pet room leading out to fenced dog run equipped with pet shower.